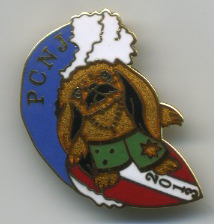 PCNJ offers an Annual Collectible Cloisonné Limited Edition Pin, which colorfully represents the "Pekingese of the World". Each edition is limited to between 175-250 pins worldwide and portion of all sales is donated to Pekingese Rescue. The Pins are approximately 1 ½ inches in Diameter & may be worn as a pin or a pendant. Contact Sylvia Reznick – email sylreznick@aol.com for information. PURCHASE INFORMATION: The Pins are $20.00 each US & Canada & $25.00 each US for Foreign orders. PCNJ accepts Visa, Mastercard & American Express . The price of the pin includes shipping and handling. There will be a small service charge added to all credit card orders. ** Please note that the pins can be shipped only to the credit cardholder, so allow extra time if you are purchasing the pins as a gift. The pin is approximately 1 & 1/2 inches in diameter and can be worn either as a pin or a pendant. PCNJ accepts PayPal, Amex, Visa & Mastercard. If you wish to pay by check in US Dollars only please, make your check payable to PCNJ and mail to Shirley Fetzer, PCNJ Treasurer at 70 Parisian Drive, Toms River, NJ 07853. 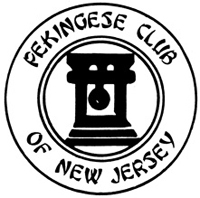 A portion of the proceeds of all pin sales is donated to the PCNJ Pekingese Rescue Fund.